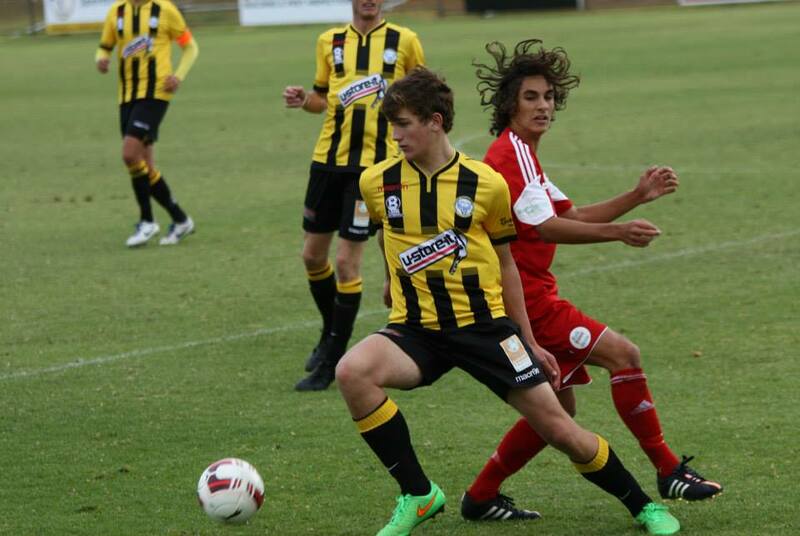 West Torrens Birkalla has cemented a top four spot with a gutsy 3-1 win over the unbeaten Red Devils from Campbelltown. Jordan Watson made it 8 goals from 9 games when he slotted home from the penalty spot midway through the first half however some sloppy defending left keeper Julian Torresan exposed at the other end and the visitors equalised ten minutes later. Ryan Kitto was as lively as ever and got onto the end of some terrific team football to put Birks 2-1 up heading into the break. In the second half Campbelltown took over to a certain extent. They played a lot of long ball football and managed to get in cross after cross however our defence were up to the challenge with Kurtis Rowe and JP Cirillo once again having solid games. 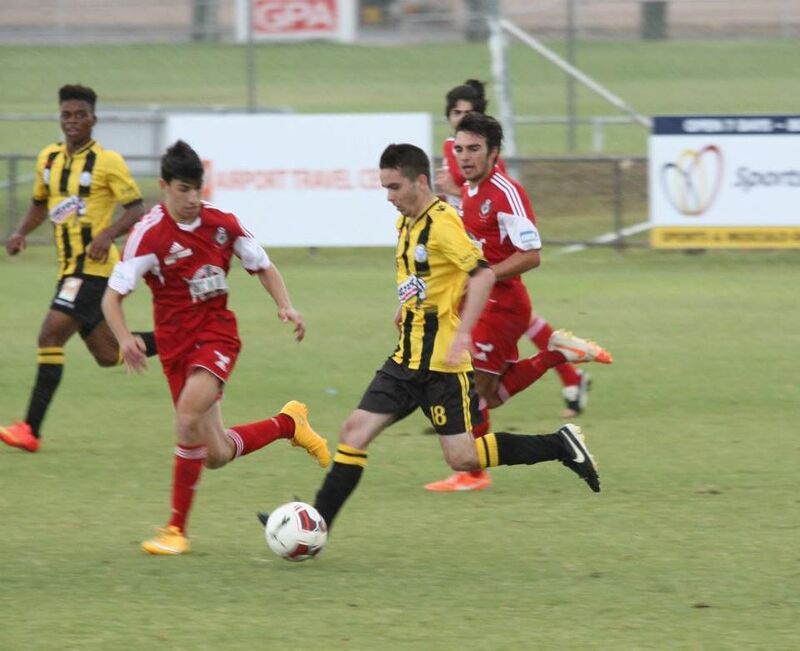 Andrew Ciarla was dominant in the midfield which released Kitto on several occasions. In the end an incredible solo effort from Kitto brought about the third goal which put the result beyond doubt in what were very tough and difficult conditions. Jordan Watson got the nod from the coach as the best player with Andrew Ciarla also scoring a mention. Birks’ reserves played arguably their best game Easter Monday but didn’t come away with the points after conceding a goal midway through the second half from a deflection. Our lads were all over the Red Devils til half time and were knocking the ball around beautifully but , as we’ve seen in previous weeks , weren’t able to score despite all the play. One highlight in the second half was the long range shot from Anthony Tropiano which hit the left post before darting across the goalmouth but somehow it stayed out. The defenders were best for Birks with Jordan Maricic again having a good game along with captain Daniel Polli and Liam Bernhardt. The 18’s boys fought hard all day and went into the half time break 2-1 up. 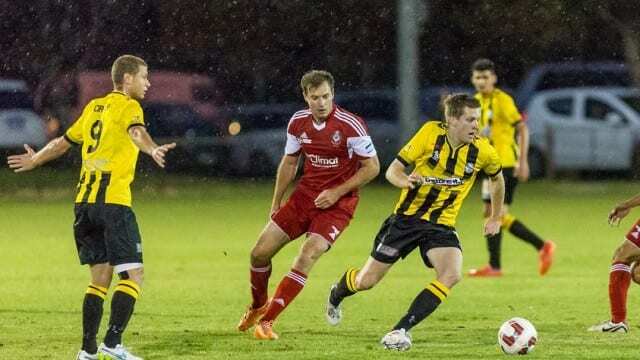 Unfortunately we allowed Campbelltown City back into the game in the second half in tough conditions. Goal scorers for Birks were Luke Uzzel and John Kangana with 1 goal a piece.